INDIANAPOLIS, Ind., June 4, 2009 – USA Gymnastics has named Dusty Ritter of Las Vegas, Nev., as the Junior Olympic program manager for the men’s program. Ritter will oversee the technical aspects of developing and implementing the men’s Age Group Competition Program, and serve as the primary resource for all aspects of the Junior Olympic Program. 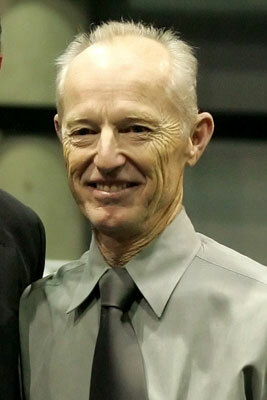 Ritter, a former U.S. men’s national team member, has more than 30 years experience in gymnastics, including as an athlete, coach, gym owner, judge and competition director. He owned and operated Las Vegas Flyers gymnastics club for many years. Ritter also has developed several nationally prominent athlete members, including Scott Keswick. He also was a member of the Junior National Coaching Staff for more than 10 years. Ritter, who will be based in Las Vegas, will report to Dennis McIntyre, the director for the men’s program.